Today, the job market is extremely competitive, and you must have a stellar resume if you want to stand out. This document is a direct reflection of your skills and abilities, so it should showcase what you bring to an organization and why you are the right hire. Our social work resume templates can help you emphasize your key skills and abilities in a visually appealing format. We offer a wide range of resume template options, so you can find one that matches your professional goals and personal style. This way, you are well on your way to landing the job you want. 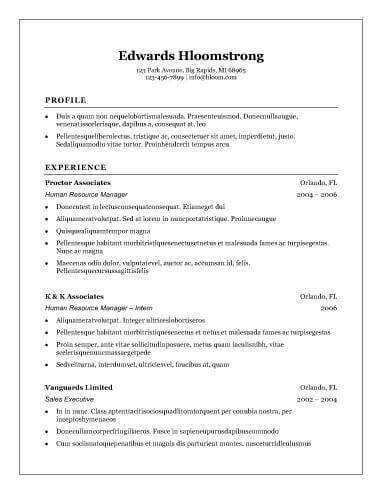 Why Use Social Work Resume Templates? Why should you use social work resume templates to showcase your professional skills? Isn’t outlining your professional experience on a blank sheet of paper good enough? However, the perfect resume not only describes your prior work experience but does so in a visually appealing way while going over your unique skills and abilities. 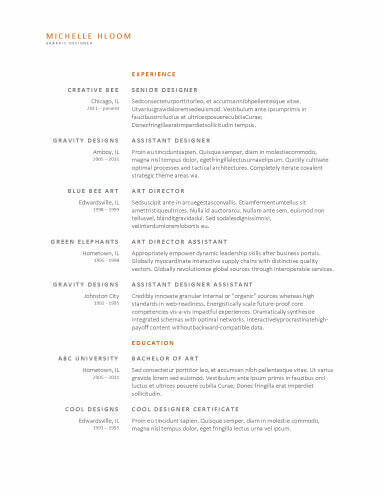 By using one of our templates, you can create a perfectly designed resume that makes employers notice you at the very start of your job hunt. If you aren’t sure which aesthetic is the way to go for your resume, try one of our popular social work resume templates. We have a wide range of different design elements to pick from, and each one of these templates includes sections for you to place important and necessary information about your professional skills and abilities. If you are new to the social work industry, you probably don’t have a ton of work experience to list on your resume. Our entry-level resume templates are a good option if this is your situation, because they focus more on what you can do for an organization and less on work experience you have in the field. Social work is a traditional industry, and you want your resume to match your professional goals. Our classic social work resume templates are simple to read, and they also feature design elements you can tweak to make the document truly your own. These resume templates are also easy to make, so you can adapt them to meet the needs of multiple job postings. Our modern social work resume templates capitalize on modern design elements while including a variety of fun, contemporary features. These pages use modern fonts, strategic spacing, pops of color, and other eye-catching features. If you want a resume that stands out, one of these templatesis the way to go for your job hunt. The need for social workers should continue to increase, and this industry will continue to adapt as a result. To show you are aware of the ever-changing trends and demands of this industry, one of our contemporary social work resume templates may be a good fit. These templates read like a traditional newspaper while emphasizing your skills, name, and work experience. Name: You should list your full name at the top of your resume. Refrain from using any nicknames. Address: All you need in this section is the city and state where you live. Phone number: Give either your home or cell phone number, but not the number of an old employer. Email address: Set yourself off on the right foot by including a professional email address. Summary statement: This statement summarizes what you can do for an organization and the value you bring as an employee. Focus on key achievements and your most impressive skills in this part of your resume. Make sure you complement it with skills and abilities relevant to the job posting. Objective statement: Today, many recruiters and employers do not believe objective statements are a necessary part of a resume because they focus on what an employee wants to get out a certain job. However, one may be beneficial to include if you are new to the industry or lack sufficient work experience. Go through the job posting and use keywords you find there to describe your skills. Personalize this section based on the requirements listed in the job posting. Include four to six bullet points that accurately describe your skill set. Every work experience entry should list the name of the position, the company name, and your dates of employment. You should define your roles and responsibilities at each position using three to five descriptive bullet points. Use this section to list any degrees or certifications you possess and your dates of graduation. You should also include any professional organizations you belong to and awards. Not only does this feature help you put together the perfect resume template, but you will also have access to a variety of other advantageous features. For example, you can receive industry-specific resume writing advice, keyword phrases tailored to your individual field, templates you can download in multiple formats, and access to a cover letter builder.